Between France, Andorra and the Spanish counties Alt Urgell, Berguedà and Ripollés is located the region of La Cerdanya. Here in the Valley of the Segre River between the peaks of the CatalanPyrenees we will spend the summer 2016 (July / August). Our starting point of the walks and trails is located in the Vall de la Llosa, near the villages of Lles de Cerdanya and Viliella. From here, our donkeys accompany you to the mountain lakes, to Andorra and France, through small picturesque mountain villages or across the valley through the Natural Park of the Sierra de Cadi. 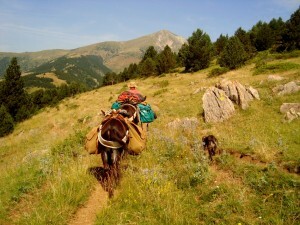 A hike with a donkey is ideal to immerse yourselves in the fascinating mountain world! There are hiking possibilities for all tastes, for leisurely hikers or sporty hikers. You can also choose between trails with overnight stays in a accommodation or a bivouac in mountain huts. We offer self-guided multi-day trekkings, but also guided half- and full-day tours and one to two hour donkey rides with children and families. The hike takes you through the upper part of the Llosa valley, going up the valley, you get over mountain passes to France and Andorra. In older times, smugglers transported their goods at night over the borders, not be spotted, with black donkeys. The valley is situated between impressive mountains. Innumerable creeks, mountain meadows and forests make it a uniquely beautiful place for a unforgettable donkey hike in the mountains. Whoever wants, can walk to the smugglers and shepherds hut Cabaña dels Espaveres and also make a bivouac there. 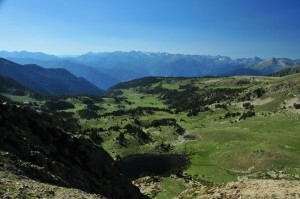 Sportier walkers can continue walking and crossing a pass to Andorra. There you can stay overnight at a mountain lake in one of the non-warden mountain huts (Refugi de l’Illa or Refugi de Montmalús). 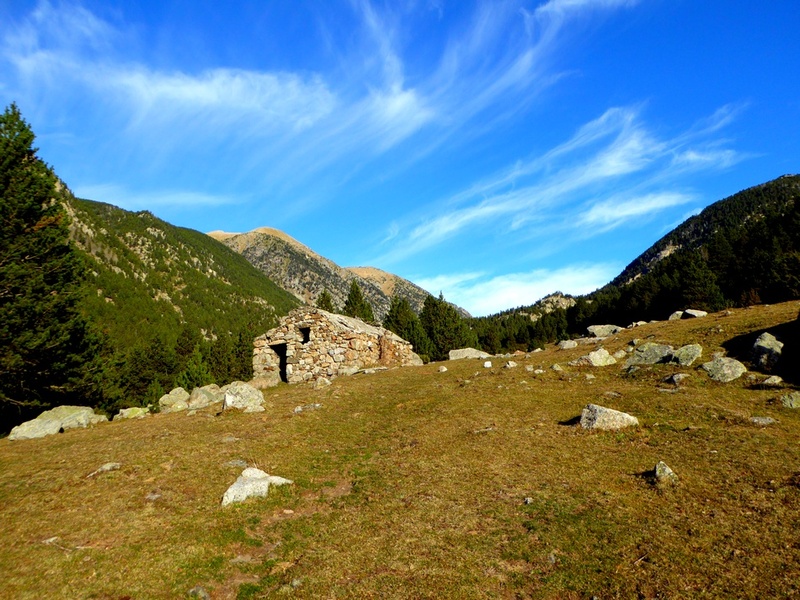 The hike into the upper Llosa Valley can be attuned to your pace. Through the valleys Vall de la Llosa and Vallcivera, you arrive through a pass, situated at 2500 m, to Andorra. Here opens us up a new view over a spectacular mountain scenery with countless smaller and bigger deep-blue mountain lakes, perfumed pine forests and unique rock formations. Pure mountain romance, far away from civilization. The trek then proceeds through the valley Vall de Madriu and later you get over the pass Port de Perafita back to Spain. On the south side of the mountain after a total of 47 km you get back to the starting point. Because there are many possibilities to make a bivouac, the trekking tour can be adjusted to your rhythm. At least the track is to be divided in 3 stages, but this is already quite sporty. A division into 5-6 stages is possible for relaxed walkers. Most stages end in a non-warden mountain hut. On the Spanish side there are some accommodations for hikers. The trekking to the mountain lakes in Andorra is a circular tour and a hike to the isolated mountain world, perfect for adventure lovers as well as for children with outdoor experienced parents. This walk takes you from the Llosa-Valley through the remote mountain villages Viliella, Aranser, Musser and Lles de Cerdanya. Here are also the two ski resorts of Lles and Aransa where, in the winter cross-country skiing is practised. 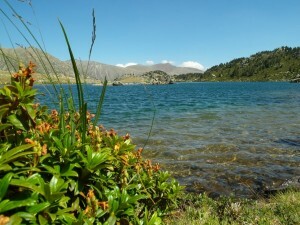 Through flower meadows, forests and a waterfall, you get to the beautiful mountain lake La Pera. From Refugi la Pera you have the opportunity to get over the pass Port de Perafita to Andorra in a day hike. Here you can enjoy an impressive mountainous panorama and find other deep-blue mountain lakes. It is also possible to skip the mountain villages Lles and Musser and hike from Aranser directly back to Cal Jan de la Llosa. If you do the whole round there are 6 hiking days, otherwise it can be shortened to 4. Because you walk no more than 10 km a day, the tour is the perfect choice for families with small children or people who want to take it easy. Overnight in hosted mountain huts and Hostels. 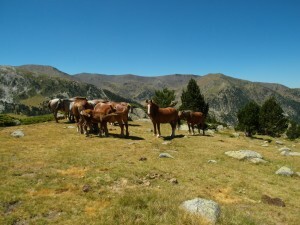 On this trek we visit the western part of the Cerdanya. The circuit passes through small mountain villages and the valley of the Segre River to arrive on the other side of the valley to the nature park of Cadí – Moixeró. 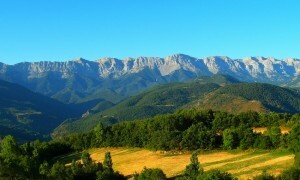 The Sierra de Cadi is a range with an imposing mountain crest. On the north side of the mountain, we find shady forests and secluded mountain meadows. The hike to the Sierra de Cadi is recommended for people who enjoy walking in the mountains and prefer to stay overnight in a accommodation. The stages are between 10 and 14 km and should be feasible without problem for hiking experienced children. For this hike at least 6 stages have to be planned. 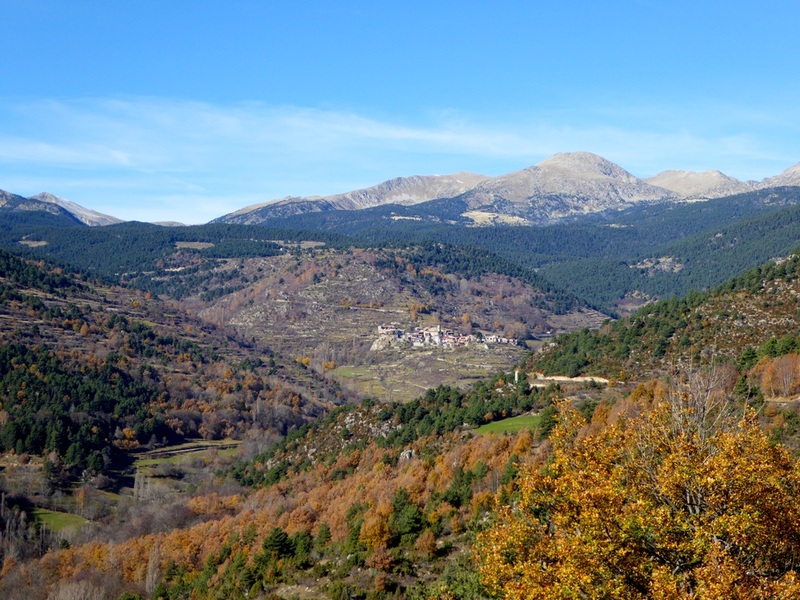 From the idyllic mountain village of Estana you can visit the mountain meadow Prats de Cadí in a day hike. Well worth a visit! The impressive backdrop at the large forest clearing directly beneath the imposing cliff is unique! Who wants to take it at the beginning more leisurely, has the opportunity to share the first stage into two. 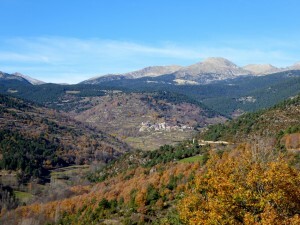 By visiting the Prats de Cadí and the division of the first stage, there are a total of 8 hiking days. Cal Jan de la Llosa is a Masia (farmhouse) approximately 3 km from the small village Viliella . The house owners offer hikers the opportunity to camp with their own or rented tent in the meadow. But infrastructure is not available! You must organize yourself totally. The cost for the night in the tent is 10 – 15 € per night, per tent. The next accommodation is located in the village of Lles de Cerdanya. If you stay the night before the donkey trekking in Lles, we can pick you up from there. By public transport: By train from Perpignan or Barcelona (RENFE) to Puigcerdà and then by bus (Alsa or Horarios) to Martinet. 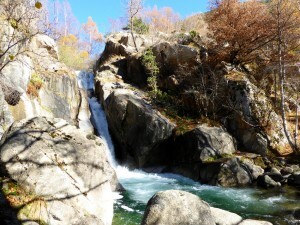 From Martinet by taxi to Cal Jan de la Llosa. Or direct bus from Barcelona or Girona, first to Puigcerdà or direct to Martinet(depending on the connection). By car: From the coast (Perpignan, Figueres, Girona, Barcelona) first towards Andorra. But before Andorra, 25km after Puigcerda on the N260 in Martinet turn towards Lles de Cerdanya. In Viliella 3 km gravel road to Cal Jan de la Llosa.